An innovative new paper, made from stone. 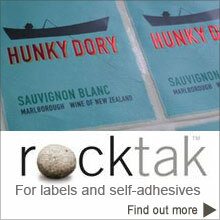 Rockstock is a high quality, coated paper with outstanding environmental values. 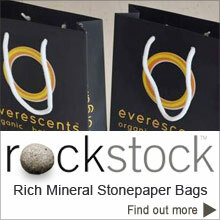 Rockstock's unique properties makes it suitable for a wide variety of purposes. Question: Why are we so excited about Rockstock? Answer: Because we believe by using Rockstock rich mineral stone paper it will help improve, air, land and water quality, reduce energy consumption and will help achieve environmental and sustainable goals that are necessary for our survival. Strong and tear resistant - perfect for books, carry bags and uses where strength is an advantage. Waterproof - great for maps, outdoor displays, golf score cards, envelopes, pads etc. 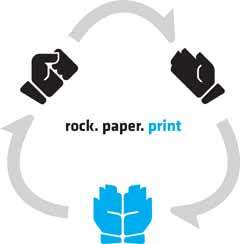 At the Stone Paper Company, we’d like you our customer, to celebrate your commitment to sustainability when you print on Rockstock by highlighting the environmentally friendly features on every sheet.